This weekend marks International Plant Appreciation Day – a day where gardeners and plant enthusiasts pause and reflect on the benefits plants provide, and encourage others to incorporate plants into their own lives. Much of human existence and nutrition can be attributed to plants, from filtering the air, producing food, offering medicinal cures, providing shade and regulating weather to name a few. In urban environments, the growth of the houseplant industry has grown exponentially by wellness-minded millennials, seeking to bring nature and greenery into their homes and offices. If you're considering adopting a plant, make a note of your lighting conditions, and speak with the staff at your local nursery who would be more than happy to guide you through finding the perfect plant. This article originally appeared on Environmental Journal on April 4th, 2019. Living the Change is a globally-connected community of religious and spiritual institutions, along with leading experts in the field of sustainable consumption practices. Through commitments in the areas of diet, transportation, and energy use, they seek to create a worldwide community of conscience and practice to drive lifestyle-related reductions of greenhouse gas emissions. Living the Change began as part of the interfaith communities global response to the Special Report of the United Nations Intergovernmental Panel on Climate Change (IPCC) on "Global Warming of 1.5ºC", and continued through the opening of the United Nations’ climate change conference COP24 in Katowice, Poland. The first campaign was held between October and December 2018, and diverse religious and spiritual communities organized more than 100 local sustainability events in 25 countries across 6 continents. We believe everyone can become part of the solution to climate change, and it will take all of us working together for our shared future. We know what must be done, and we have the ability to start taking action today. We are all environmental stewards, united in the responsibility and the blessing to care for our common home. We feel love and concern for the billions of living beings with whom we share this planet. We have the knowledge and skills to help make a healthier, happier future for all. During the most challenging times, we are reminded how truly we are all in this together. Many notable Muslim leaders have joined the campaign including Imam Zaid Shakir, Dr. Ingrid Mattson and Imam Ibrahima Saidy among other prominent Muslim acamedics, theologians, community leaders and environmental champions. Over the next several weeks, Khaleafa will be featuring their stories, highlighting the importance to take action on climate change. During COP23, Living the Change published and delivered the Interfaith Statement “Walk on Earth Gently”. This call for climate action was signed by distinguished faith leaders, clergy, theologians, scholars, climate advocates, and community members. They represent many of the world religions: Baha'i, Buddhism, Christianity (Anglican/Episcopal, Baptist, Roman-Catholic, Franciscan, Jesuit, Presbyterian, Lutheran, Methodist, Moravian), Hinduism, Islam, Jainism, Judaism, Quaker, Unitarian, and Zen. Today marks World Sparrow Day! The common House Sparrow (Passer domesticus) is a familiar sight to many in Canada, and their colonies are common in many urban centres across the country. Unfortunately, this species has been in decline in recent years for a number of reasons, from the loss of habitat to a lack of insects for food. This year World Sparrow Day is marking its 10th anniversary of bringing together those working for the conservation of the species to better protect this humble bird. The Interfaith Rainforest Initiative is an international, multi-faith alliance that works to bring moral urgency and faith-based leadership to global efforts to end tropical deforestation. The initiative welcomes engagement by all organizations, institutions and individuals of good faith and conscience that are committed to the protection, restoration and sustainable management of rainforests. Build consensus - Facilitate dialogue across religions about the shared moral, ethical and spiritual responsibility to protect rainforests. Make the case - Create opportunities for religious leaders, scientists and indigenous peoples to speak in concert about the case for ending tropical deforestation. Facilitate learning - Equip religious and spiritual leaders with the science, training and tools they need to become effective advocates for protecting rainforests. Mobilize commitment - Mobilize religious and spiritual leaders to make ending tropical deforestation an ethical priority and create space for them to advocate for policies that protect rainforests and those that serve as their guardians. Raise awareness - Increase the profile and visibility of the deforestation crisis, and the fundamental role that rainforests play in addressing climate change, achieving sustainable development and surviving as a planet. Influence policy - Serve as a moral force for change to influence governments and companies to adopt, fulfill and expand upon commitments to protect rainforests. Build coalitions - Facilitate new partnerships among religious and faith leaders, indigenous peoples, and other sectors – government, business, and civil society – to anchor global commitment to protecting rainforest in on-the-ground action in rainforest countries. Inspire action - Create a worldwide movement for rainforest protection that is grounded in the values, ethics and moral guidance of faith communities. The initiative was launched in June of 2017 at the Nobel Peace Center in Oslo, Norway in a first-of-its-kind summit of Christian, Muslim, Jewish, Buddhist, Hindu and Taoist religious leaders, climate scientists, rainforest experts and indigenous peoples’ representatives from Brazil, Colombia, the Democratic Republic of the Congo, Indonesia, Meso-America and Peru. This week marks the beginning of Daylight Savings Time for those living in Eastern Canada. This bi-annual rotation between Daylight Savings and Standard time is not only a reminder to change the batteries in your smoke alarm, but shifts our daily patterns as the time for prayers move forward and the days begin to get longer. This gives us a greater reason to pause and reflect on the passage of time; a connection between our past and the present, and set a new direction for the future. The moon has played a pivotal role within Islamic history, marking the passage of time and symbolizing the delicate balance within the universe. It has inspired scientific understanding, formed the basis of spiritual beliefs and influenced art and poetry for millennia. 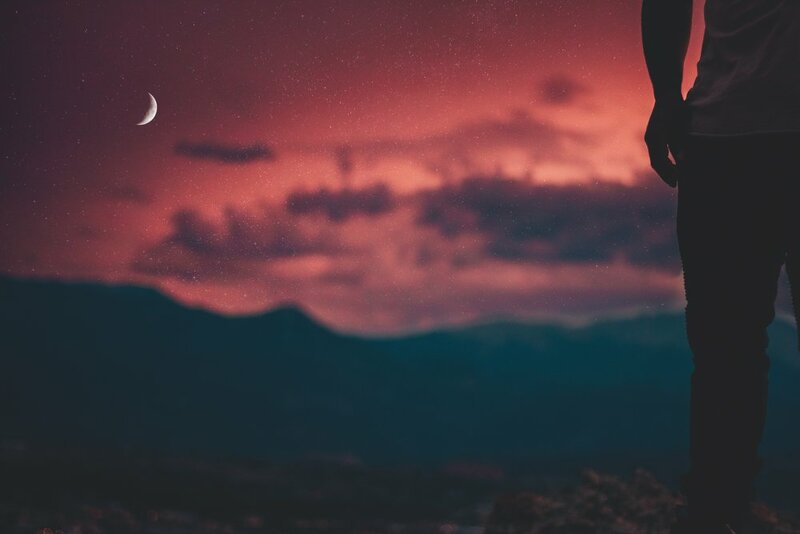 It was the cohesive bond between cultures as Islam spread throughout the world, and it is no surprise that the crescent moon has become the modern symbol of Islam. This Spring, the Aga Khan Museum in Toronto is curating an exhibit that explores the relationship of faith, science and the arts, highlighting the 50th anniversary of the Apollo lunar landing. The Moon: A Voyage Through Time brings together important miniature paintings, scientific instruments, Islamic manuscripts, and contemporary works of art to illustrate the wonder at the moon that is shared among culture. This immersive and interactive exhibition encourages visitors to view the moon from a new perspective by bringing together pieces by contemporary artists and masterworks from around the world. This week marks Peach Blossom Week! This simple sweet fruit was first domesticated in Asia and spread throughout that world, inspiring cuisine from Spain to the United States. Peaches were referred to as the ‘Persian Apple’ during Roman times, and were known as the “Fruit of Calmness’ for their ability to reduce anxiety. Though we won’t see peach blossoms for several more weeks in Canada, one can only imagine their fragrance as a sign of summer days ahead. Islamic aid organizations have recognized the connection between social justice and climate change, and that the changing climate is already having a devastating impact on the poorest and most vulnerable in society. Over the coming decades, climate change is an issue that will adversely affect the Muslims world, especially those who are displaced by floods, drought, desertification and extreme heat. Islamic Relief works with communities to strengthen their resilience to disasters, and provide vital emergency aid when disasters occur. They are known to tackle the root causes of poverty and are a policy leader on Islamic humanitarianism. In 2017, they released ‘Climate Champions - Islamic Relief’s Global Climate Action’, which captures why Islamic Relief is vocal on climate change and climate justice issues, and how they are campaigning to reduce emissions, promote sustainable living and protect the most vulnerable. Islamic Relief recognised climate change as one of the greatest moral, social and environmental issues facing humanity. Inspired by Islamic teachings on justice and stewardship, they help communities become more resilient to climate change, improve learning on environmental issues among staff and supporters, aim to reduce our carbon footprint, and undertake advocacy to promote substantial and equitable reductions in greenhouse gases. Launching its updated Climate Change Policy this week, Islamic Relief Worldwide has reiterated its stark warning that bold and urgent action is needed to limit global warming and respond to the consequences of climate breakdown. The Islamic Relief Climate Change policy recognises climate change as one of the greatest issues humanity faces, and sets out the far-reaching response that is needed. “Our climate policy speaks out on behalf of the poor and marginalised suffering from climate change across the world,” said Islamic Relief CEO Naser Haghamed, speaking at the policy’s launch event on February 11th, 2019. “We say that as a moral, social and environmental issue, mitigation of climate change demands an urgent and global response and change on an unprecedented scale. Expressing the need for urgent action, Naser Haghamed echoed Swedish child activist Greta Thunberg’s cry that “Our house is on fire”. Thousands of schoolchildren worldwide are not attending school to take part in strikes pressurising world leaders to tackle climate change. The Talanoa Dialogues organised by Islamic Relief in 11 countries sent messages to governments and the UN that adaptation to climate change needs to be tackled by the people who know their situation best. The duty of government is to help them plan and carry out the necessary work. “We must make sure that we are doing everything to limit our own greenhouse gas emissions, with continuously improving environmental performance integral to our business strategy and operating methods. At next month’s UN Environment Assembly, Islamic Relief will present on their climate and consumption work in East Africa. There they will also engage with the UN secretary general’s climate summit and UN Climate Change conference later in the year. 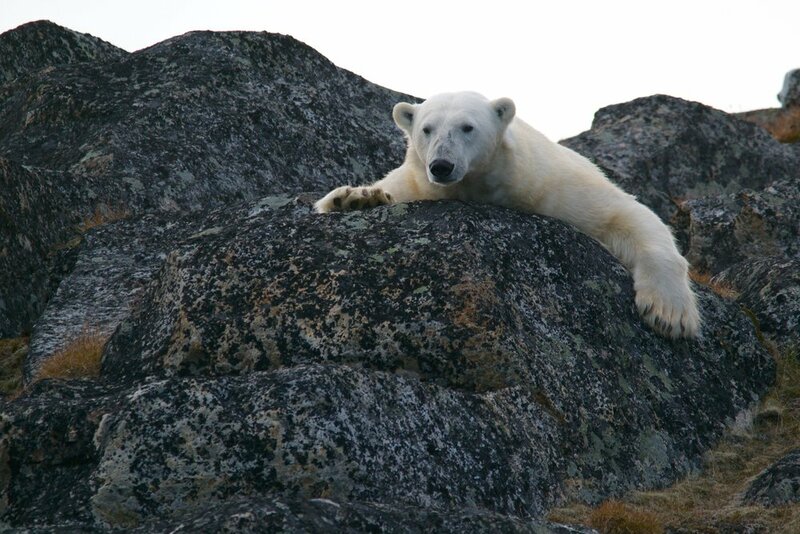 International Polar Bear Day is an annual event aimed to raise awareness about the impact of global warming and reduced sea ice on polar bear populations. Organized by Polar Bear International (PBI), the event encourages people to reduce their carbon footprint through making small changes in their daily lives such as driving less or lowering their thermostat. The mission of the organization is to inspire people to care for the Arctic, the threats to its future, and the connection between this remote region and our global climate. Polar bears rely on sea ice to hunt seals, which is their primary sources of food that sustain them throughout the year. However, the sea-ice in the Arctic has been melting earlier each year on average, limiting the time polar bears can effectively hunt and build up critical fat reserves. The snowball effect over several years reduces the polar bear population and range, making them vulnerable to extinction in the future. Changes in the Arctic are a litmus test of the effects of climate change, as the impacts are felt greater at higher latitudes. Scientists predict that as the Arctic continues to warm, two-thirds of the world's polar bears could disappear within this century. The latest IUCN report estimates there are approximately 26,000 remaining in the wild. Reducing our carbon emissions goes a long way towards limiting the negative impacts to polar bears and other Arctic species. There are numerous references in Quran and Prophetic Tradition (Hadith) that speak to our role as stewards over the environment and the animals that inhabit it. We are obligated to take care and protect all animals as a sign our gratitude and for the blessings provided to us by Allah. When it comes to polar bears, we all have a collective responsibility to ensure that we prevent not only their habitat degradation but their extinction as well. Reducing greenhouse gas emissions by lowering our thermostat or not idling our cars are simple steps we can take on an individual level. Educating others and engaging your community are other great ways to raise the awareness about polar bears and harmful impacts climate change to animals. We admit it - Winter in Canada can be long, cold and dark, But it doesn’t mean that you have to hibernate indoors. Take advantage of the cold weather and head outdoors to ski, skate or go sledding while there’s still snow on the ground. Winter is truly a blessing that gives us countless opportunities to explore the great outdoors from a new perspective. Born and raised in Cairo of the Mu’ez (Old quarters of Cairo), I found myself surrounded by remnants of a glorious past. My extended family and I used to gather on the rooftop of our home to have our usual meals. Both the Qalawun complex (a school, hospital, mosque and mausoleum) and Barquq mosque command the landscape around us. These structures were established by the Mamluks in the middle ages. The Mamluk architectures in old Cairo reflect many devices that tend to effectively blend the built environment with the natural surroundings using some natural phenomena to improve the built environment. 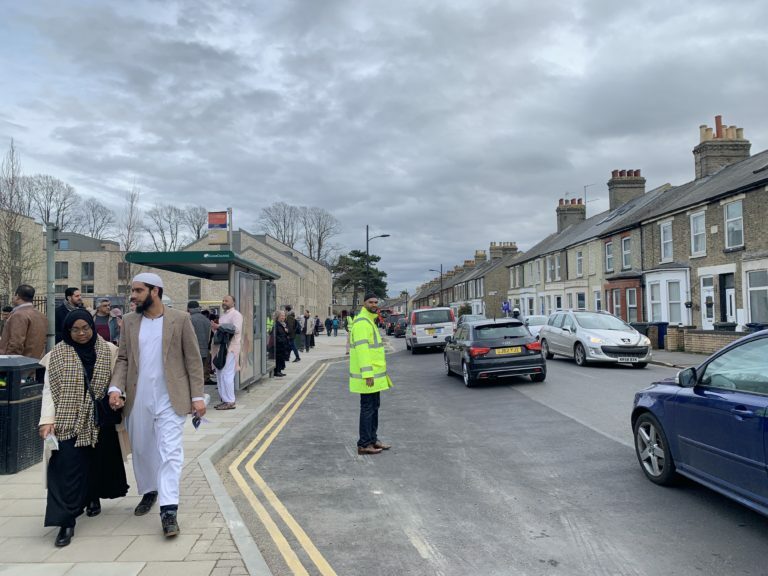 Such improvements helped to reflect the Islamic heritage. The key to understanding the Islamic influence on the environment is the full appreciation of the Islamic concepts of God, the role of man on earth, and the role of the natural environment. On the other hand, it is man who impacts the environment more than any other creature of God. Seyyed Hossein Nasr who is considered as the ‘founding father of Islamic eco-theology’, argues that “in the old days man had to be saved from nature, today nature must be saved from man in both peace and war”. Islamic teachings provide a blueprint for an ecological sustainability that is workable and ethical. When we look at the amount of deforestation, soil erosion, water and air pollution and toxic waste in the majority Muslim countries, we find that Muslim communities are sometimes worse than many advanced nations in the world. They tend to import inappropriate technologies to resolve local environmental issues. They overlook traditionally appropriate practices that were prompted by their Islamic teachings, and hence unnecessarily create difficulties and hazards. The Muslim Mamluks have employed some ecological measures that enabled them to introduce a number of environmentally friendly measures to improve their built environments. Their attitude was dictated by their belief in Islamic ethics. The environment holds a huge potential that man may wisely use for his benefit and other inhabitants of our earth making certain that enough resources for future generations were secured. Muslims need to be aware of their environmental heritage so that they would both reap the benefits in this life and be rewarded in the Hereafter as they would have fulfilled their obligations as vicegerents of God on earth. The primary sources of Islam; the Qur’an and the Sunna of the Prophet, contain many injunctions aiming at guiding the Muslim’s activities in this life so that on the one hand he/she would fulfil their obligations towards their God and on the other hand they would enjoy a good and healthy life with a promise of even better rewards in the Hereafter. Qur’anic verses describing nature and natural phenomena outnumber verses dealing with commandments and sacraments. Some 750 verses, or one-eighth of the Book, exhort believers to reflect on nature, to study the relationship between living organisms and their environment, to make the best use of reason and to maintain the balance and proportion God has built into His creation. The Qur’an and Sunna stipulate some principles that affect man’s attitude towards the environment. 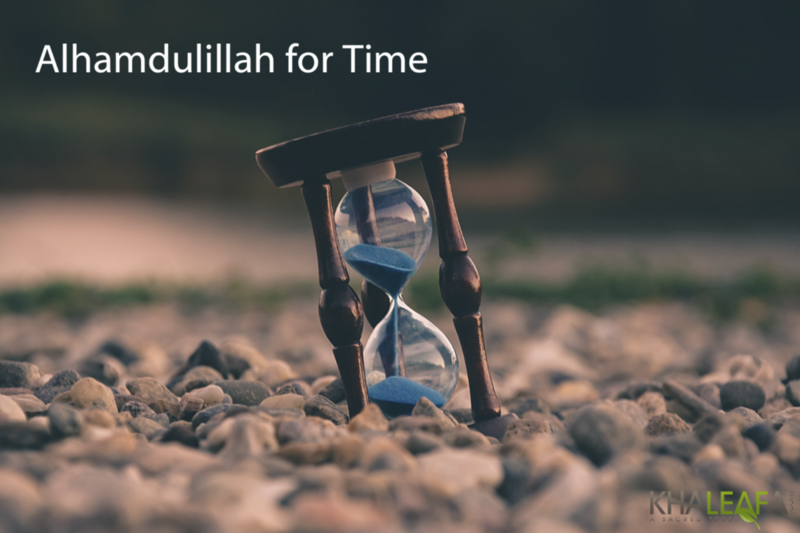 Fitra (initial state of creation), tawhid (Unity of God), khilafa (vicegerency), mizan (balance), and hikma (wisdom) are some important concepts that seem to lay the pathway for Muslims as they deal with their environments. God created man as part of the primordial nature (fitra) of His creation [Qur’an 30:29]. Fitra is the intrinsic goodness in everything created by God. Man’s role is defined by that patterning . . . and the conscious expression of this rests with humankind. Muslims believe in one undividable God who has no partner nor does anyone or anything may resemble. Tawhid implies the unity and the equality of all God’s creation who should strive to mutually benefit one another. God considers every type of creation, particularly in the animal world, as nations much like human nations. The Qur’an and the Sunna combine to remind mankind of their responsibilities towards maintaining and caring for the environment. God has created man to be His khalifa (vicegerent) on earth. Such prerogative carries with it a heavy responsibility. Humans are “responsible for maintaining the unity of all God’s creation, the integrity of the earth, its flora and fauna, its wildlife and natural environment. As representatives of God on earth, Muslims should effectively preserve and care for the environment in order to protect God’s creation. As God has created all things in quantified amounts, balance is required to maintain equity between species and their environments. The concept of balance draws the attention that moderation is required to maintain the balance in nature. Violating the balance in nature has serious consequences. The destruction of the environment causes a severe imbalance in nature. “He giveth wisdom unto whom He will, and he unto whom wisdom is given, he truly hath received abundant good” [Qur’an 2: 269]. Undoubtedly wisdom is necessary for the right judgements to be passed so that future impacts of today’s decisions would perhaps be minimised. 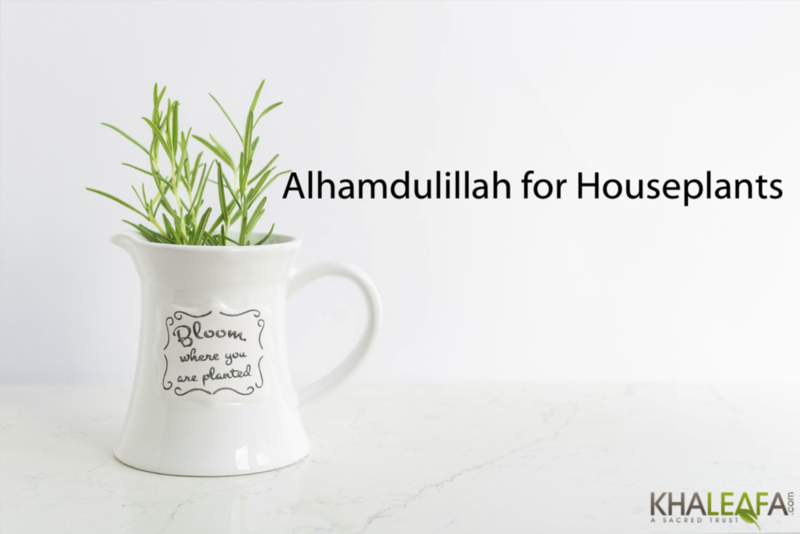 The five main principles for humans to deal with their environments named above, Fitra, tawhid, khilafa, mizan and hikma represent the Qur’anic plan for the relation between man and the environment. Each creation should be guaranteed respect and the right to live in security and dignity. “Everything, spiritual, animates and inanimate We create according to plan indicating the relations of objects to one another” [Qur’an 54:49]. The books of sirah are full of teachings pertaining to the good use of the environmental resources and other measures to help in maintaining the balance of nature. The Prophet advised his followers to restrict their consumption of the earth’s resources to their immediate needs without causing any waste. In a hadith the Prophet of Islam reprimanded one of his close Companions for using excessive amounts of water for their ablution. Muslims should be thrifty in the use of the earth’s resources even if resources were abundant. The Muslim should consume enough amounts to meet his/ her needs and then think of ways to recourse the surplus to those in the world who may need it. The concern for a lot of other humans is so much ingrained into the Muslim’s psyche that the rewards for kind and charitable actions are highly rewarded by Almighty God in both this life and in the Hereafter. In pursuit of conserving the environment, the Qur’an issues clear and unambiguous instructions dealing with the conservation of land animals. Almighty God has decreed in the Qur’an that “The calendar introduced by God . . . divides the year into twelve months, four of which are sacred” [Qur’an 9:36]. These four months were further elaborated in Suratul Ma’eda (The table). “Nor are you permitted to engage in the chase (killing) of wild animals or game”, while you are on pilgrimage –major or minor- (in the sacred months). God ordains what He will” [Qur’an 5:1]. For four months every year (three of which are consecutive and one stands alone), Muslims are not permitted, by order of God, to hunt land game. Such halt of killing the land game would allow the animals a chance to rejuvenate and multiply so that its numbers would not dwindle or even become instinct as the situation is today with so many species disappearing from the face of the earth after extensive harvesting by people. Mr Riad Galil OAM is Senior Imam at West Heidelberg Mosque and Chaplain both at RMIT University, City Campus as well as Deakin University, Burwood campus. Married with four children and nine grandchildren, he is based in Melbourne. This article originally appeared on AMUST on February 27th, 2019. As many parts of Canada succumb to frigid temperatures this winter, we are reminded of the simple blessing of warmth. Unfortunately, there are many people in Canada who do not have access to housing, and are left exposed to the elements. Take a moment to share the warmth, and reach out to those in your community who may need some additional help this time of year. Islam is one of the religions in the world which has a large number of followers, and Indonesia is known as a country with the highest number of Muslims in the world. As a religion that is the guideline of human life, Islam also regulates matters concerning human to nature relations. Preserving nature not only protects the animals, but also helps protect ecological processes so that natural systems can run uninterrupted. A modern environmentalist named Mawli Y. Izzi Deen said that preserving the environment as part of ecology is an obligation within Islam. An assistant professor of King Abdul Aziz University, Jeddah, Saudi Arabia also said in his essay entitled “Islamic Environmental Ethics, Law and Society,” that conservation of the environment must be done because the environment and all creatures are created by Allah SWT which is entrusted to humans on earth. Furthermore Islam also teaches people to do good things for the environment. Prophet Muhammad once said, anyone who treats nature well with a sincere heart will get a reward from Allah SWT in the form of pahala. Even during the time of the Prophet Muhammad, Islam has introduced the concept of "hima", namely the establishment of certain zones for nature conservation and protecting plants and wildlife, wherein it is not permitted to make buildings, neither make fields, create land, nor hunt. Quoted from republika.co.id, there are five types of hima that apply at the time of the Prophet Muhammad. The first type of hima is an area where people should not use it to herd livestock, but they are still allowed to cut trees in this area as long as the trees cut are old and have already produced flowers and fruit. The second type is an area where people are allowed to herd cattle and cut trees that have flowered and produce fruit, to help the seeding process naturally in the following season. The third type is an area permitted to be a grazing area throughout the year, but is limited to the type of livestock and a quota system is applied. In this region, people may also cut grass. The fourth type is an area used as a bee sanctuary, where people can only herd cattle after the flower season is over. The fifth type functions as a forest conservation area. In this area trees may be cut only during emergencies. The last type is a forest conservation area to prevent desertification. As the largest Muslim-majority country in the world, the approach through religious wisdom could be one method used in making efforts to raise awareness concerning the environmental conservation and wildlife. This can be done through community leaders, such as religious leaders or village leaders who are respected at the grassroots level. The Chairperson of the Foreign Relations and International Cooperation Division of the MUI, KH. Muhyiddin Junaidi MA, stated "The Indonesian Ulema Council has formed an Environmental Breeding Institute, which has line of duty to issue fatwas or religious opinions about the needs to preserve wildlife and ecosystems in order to protect Indonesia's environment." Based on this, the Indonesian Ulema Council as a leading religious institution in Indonesia stipulates Fatwa Number 4 of 2014 concerning Conservation of Endangered Animals for the Balance of Ecosystems. This fatwa orders to protect and preserve endangered species, both protected and unprotected, living in the wild or in captivity, having a small population and declining population in nature, and requiring conservation efforts to prevent extinction. Fatwa No. 4 of 2014 is to prevent species extinction caused by various threats experienced by animals which could cause extinction, which will disrupt the balance of the ecosystem, whereas it is supposed to be maintained. This fatwa is comprise of recommendations aimed at the government, legislative bodies, regional governments, business people, religious leaders, and the wider community. The recommendation advice us to take steps to protect and preserve endangered species against extinction, one of which is law enforcement efforts to stop the hunting and trading of wild animals, especially protected species. The Indonesian Ulema Council also has an environmental Da’i, namely the Da'i which specifically mentions the importance of protecting and preserving the environment. "MUI forms environmental Da’i because the environment is an aspect that cannot be separated from human. 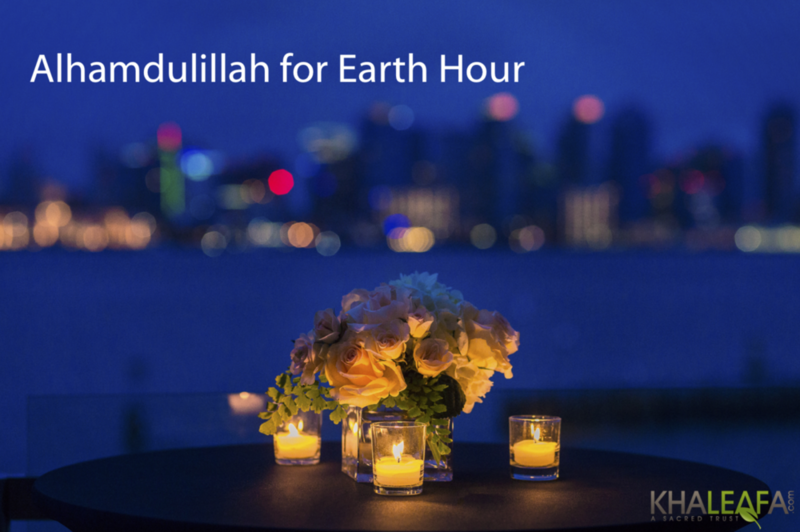 lt is not only fardhu kifayah (obligatory for some people), but also it is fardhu 'ain (must be done) for all humanity to protect the environment and maintain the balance of the ecosystem. Religion is the approach that can be chosen as a method of socialization and education, to influence the community to preserve animals and to prevent species extinction. As the teachings in every religion says that humans not only should have good relations with God, but also to other humans living harmoniously alongside nature. Therefore, if all parties can carry out their respective functions and roles, it is not impossible for us to fulfill the dream of the preservation of animals and ecosystems. This article originally appeared on WWF -Indonesia on January 3, 2019. Umbrella’s are an innovative tool, that have been around for thousands of years. Evidence of their use can be found in ancient art and artifacts in Egypt, Assyria, Greece and China (2). Not only do they keep us dry during the rain, but they can also protect us from the damaging rays of the sun. As a result, the umbrella has become a symbol for climate change, representing the dueling forces of floods and droughts that have rocked the planet in recent years. Water vapour, which is the source of rain and snow, primarily comes from two sources. About 60% is derived straight from the oceans, while the other 40% is evaporated over the continents. This is important to note because the rate of evaporation from the ocean increases as the world warms, and this contributes to increases in the annual amount of snow and rain (2). Globally, the atmosphere is getting warmer, which means that it can retain more moisture. More rain may seem like a good thing, but too much rain, especially high-intensity, short-duration storms, can have a devastating impact. Flash floods have become common in some parts of Canada, where rain that falls as a violent downpour, quickly runs back into the rivers and lakes, rather than being absorbed and retained in the soil. On the flip side of the equation, even though evaporation is increasing, the holding capacity of the atmosphere is not keeping pace. This results in dry spells between rain events, as it takes longer for moisture to recharge the atmosphere. This leaves parched soils which are unable to hold moisture during these severe storms, and further exacerbates the run-off of water out of the system when rain actually arrives (3). Whether it's heavy rain or blistering sun, the humble umbrella will become one of the go-to tools in the toolbox in adapting to climate change. Recently, Saudi engineers have re-designed the umbrella to assist Hajj pilgrims avoid heat exhaustion and dehydration at the holy sites where temperatures can climb to over 40°C. Known as a smart umbrella, it is solar powered and has integrated USB ports, a fan, flashlight and a GPS system to help locate lost family members and friends (4). Other versions connect the base to a water bottle which can deliver a cooling mist to pilgrims (5). This National Umbrella Day, give your umbrella a tune-up before spring arrives and consider its new role in a world with climate change. The traditional pinecone, is the seed bearing cone of conifer trees. They vary in size, shape and even colour depending on the variety. 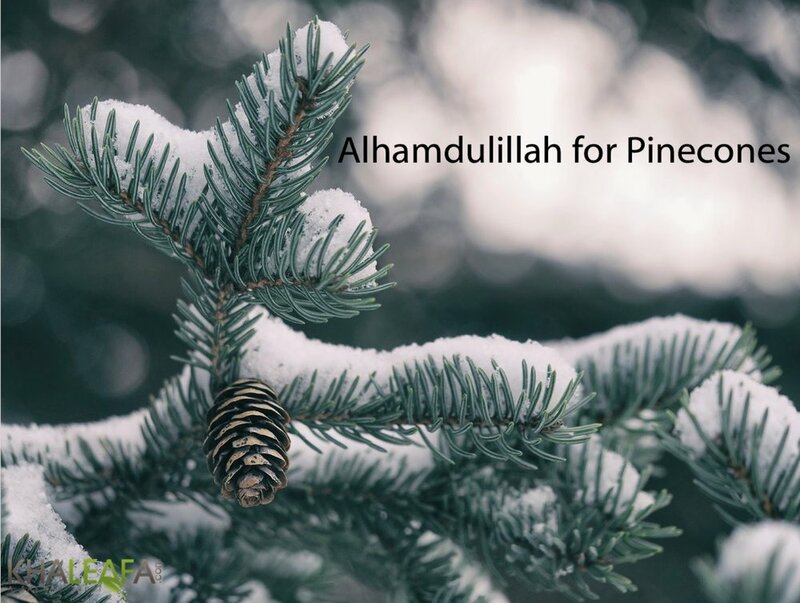 Pinecones play a vital role in keeping seeds safe and close their scales to keep out freezing temperatures, wind, ice and hungry animals looking for a snack. They truly are little gems in the forest. Water on Earth came from outer space, particularly from ice in comets and meteors. When those comets enter our atmosphere the heat generated on entry vaporizes this ice into the atmosphere. And We sent down water from the heaven in proper quantity, and we made Earth is dwelling, and We are Able to take it away. In the water which Allah sent down from the Heavens and brought with it life to Earth after being dead and gave life in it to every kind of land animal; And in directing the winds; And in the clouds that are enslaved between the Heavens and the Earth; [All these] are Signs for a people who comprehend. So the water itself came from the heavens above the clouds. Here God is not talking about rain (matar or wadk in Arabic) instead God is talking about water (مَاءٍ). Can’t you see that Allah makes the clouds move gently, then joins them together, then makes them into a pile? Then you see rain come out from within? And He sends down from heaven mountains with ice inside them; that strike whomever He wishes or miss whoever He wishes; Its flash almost blinds you. God sent down from the heavens (above the clouds) mountains with ice inside them! The clouds are enslaved between the Heavens and the Earth but the water itself originally came from the Heavens (above the clouds) in the form of ice in mountains. They make a flash, this is the description of comets and meteors when they hit our atmosphere. Rain hits everyone (no exceptions) however the Quran referred to mountains: “that strike whomever He wishes or miss whoever He wishes”. Of course, the meteor that killed the dinosaurs was the size of a mountain. If we get hit with a meteor the size of a mountain we too will die. It is Gods’ choice that we live or die. How could an illiterate man who lived 1400 years ago have known that water originally came from ice in comets? More than half your body weight is water. Animals and plants on Earth are mostly water. All life in our universe also needs water. When scientists search for life on exoplanets they only look for planets with water; no water means no life. However Muslims knew about this 1400 years before it was discovered. Do not those who disbelieve see that the heavens and the Earth were meshed together then We ripped them apart? And then We made of water everything living? Would they still not believe? In the Quran, all life, on Earth and in the heaven, depends on water. How could an illiterate man who lived 1400 years ago have known that all life in the universe also needs water? Water covers about 71% of the Earth’s surface. This is also the same ratio as the word “Sea” and the word “Land” appear in the Quran. “Sea” appears 32 times and “Land” 13 times. The ratio of “Sea” to the total (Sea + Land) = 32/(32+13) = 71%. This article originally appeared on TMV on January 11, 2019. Saturday, February 2nd 2019 marks World Wetlands Day, where government agencies, non-governmental organizations, and groups of citizens at all levels of the community, take this opportunity to learn, share and take action aimed at raising public awareness of wetland values and benefits. This day also marks the date of the adoption of the Convention on Wetlands on February 2nd 1971, in the Iranian city of Ramsar on the shores of the Caspian Sea (1). World Wetlands Day was established in 1997 to raise awareness about the value of wetlands for humanity and the planet. The theme for this year is Wetland and Climate Change, and draws attention to the crucial role wetlands play as a natural solution in building resilience to climate change. Often an overlooked component of the ecological system, wetlands provide us with clean water, protect us from floods and droughts, offer food and livelihoods to millions of people and store more carbon than any other ecosystem. They also support a rich diversity of plants and animals, as well as migratory populations of birds and fish. Yet, the value of wetlands remains largely unrecognized by policy and decision makers (1). Since 1900, over 64% of the world's wetlands have been lost, with nearly 50% of this loss happening since 1970. Canada is home to nearly 25% of the world’s wetlands but 70% have either been destroyed or degraded. In the worst cases, such as some areas on the prairies, as much as 90% of our wetlands have disappeared (2). There contributing causes for the disappearance or degradation of these valuable ecosystems include farming, urban development and resource extraction; which result in wetlands being drained and converted for other purposes (3). The negative impacts are cumulative and can have significant impacts to the surrounding environment. Every time a wetland is lost the entire watershed loses value to humans, animals and plants (4). Recent theological research has highlighted the importance of wetlands as Hima or ‘living sanctuaries’, that deserve to be protected based on their ecological importance to current and future generations. The Islamic concept of Hima has been practiced since the time of Prophet Muhammad (SAW) when he designated a Hima around the area of Madinah to ensure the protection of vegetation and wildlife. This approach has been expanded today, and has been interpreted to include the protection of ecologically significant or sensitive areas, including wetlands. Hima has been recognized as a Community-Based Natural Resources Management (CBNRM) System, which promotes sustainable livelihood, resource conservation, and environmental protection for all. The Hima system is considered as one of the most widespread systems of traditional conservation that is based off of consensus and mutual benefit. Proponents of the application of Hima to wetlands cite passages from the Quran that clearly identify the responsibilities Muslims have as stewards over all environments, and ensuring their health for future generations (5). “And it is He who has made you successors upon the earth and has raised some of you above others in degrees [of rank] that He may try you through what He has given you. Indeed, your Lord is swift in penalty; but indeed, He is Forgiving and Merciful.” Quran 6:165. Explore wetland areas in your community and enjoy the natural diversity of plants and animals that thrive in this environment. Learn more about the importance of wetlands, and educating others on their role and importance. Become involved in wetland restoration projects in your community by reaching out to your local conservation authority. Raise the issue with at your local planning committee to ensure development does not adversely degrade wetlands. Visit the World Wetlands Day website for more information and resources on how wetlands can help mitigate the impacts of the climate change.